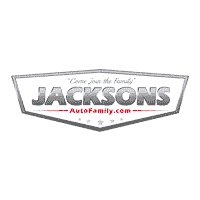 Jacksons of Enid understands that before a company can do well, it must also do good! We are proud to support our local community. Through conversation, relationship building, and constant feedback from you, we are able to accommodate your needs and wants for the perfect vehicle. This also carries into our involvement in the community. We are proud to host and participate in events to benefit area charities and organizations such as 4 R Kids, JWL Junior Welfare League, Leadership of Greater Enid, Wild Turkey Federation, Garfield County Child Advocacy, Vance Air Force Base and being a Vance Student Pilot Sponsor. For more information, please click on the organization you’re interested in. If you need to contact us about any organization, click here and include the organization you’re interested in and any questions you may have. The Junior Welfare League of Enid is an organization of active young women interested in our community’s welfare and growth. Since our humble beginnings during the depression, JWL has been successful in reaching out to thousands of individuals and organizations through fundraisers and service committees. In our 80+ year history, ﻿JWL has given well over $1,000,000 to the community to help with a large variety of worthy causes. LGE Leadership Greater Enid, formerly known as ROOTs, Youth Leadership Greater Enid, is a youth leadership program for high school seniors. Establised in 1996, the program aims to show students and young adults the career and life opportunities Enid has to offer. This fast-paced, behind-the-scenes look at their hometown will open their eyes to the possibilities around them. They will be encouraged, applauded and inspired as they kick-off their senior year. The Advocacy Center on the C.A.R.E. campus provides a warm home-like environment for children who must be interviewed about incidents of physical and sexual abuse. The Garfield County Child Advocacy Council enhanced the quality of the community’s response to child abuse by establishing a comprehensive coordinated system accredited by the National Children’s Alliance. 3. Commander’s Vision… To be the Air Force’s preeminent flying training wing empowered and dedicated to producing world-class military pilots. At many Air Force bases, including Vance, flying squadrons sponsor Pilot for a Day programs designed to give special needs children and youth a taste of the life of a military aviator. But out of some 300,000 airmen, only 12,000 or so are pilots, which gave Col. Dwayne LaHaye, commander of 71st Mission Support Group at Vance, an idea. Why not come up with a program similar to Pilot for a Day, but showcasing the wide range of other jobs airmen do every day, while at the same time honoring deserving young people in the community.